I want to use the PowerMic II or the PowerMic III in Dragon Professional/Legal v14 and v15—and have button customizations available. For non-medical editions of Dragon, the PowerMic II is officially only supported on Dragon Professional/Legal Group v14. The PowerMic III is supported on all editions of Dragon Group v14, Dragon Individual v15, Dragon Group v15, and Dragon Law Enforcement. 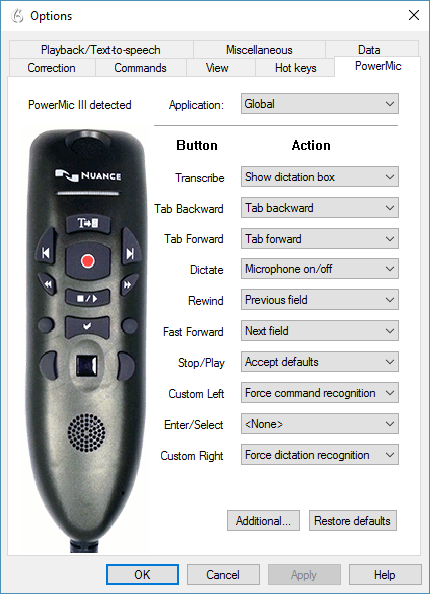 Even though it’s not supported, the PowerMic II will work in Dragon Individual v15. Additionally, the PowerMic III may show up as a “PowerMic II” in Dragon Group v14. 1) Connect a PowerMic II or PowerMic III to your computer. 2) Open Dragon Group v14 or Dragon Individual v15. 3) Add a microphone to your profile. 4) Whether you’re running Dragon 14 Group or Dragon 15 Individual, you should see a PowerMic microphone. 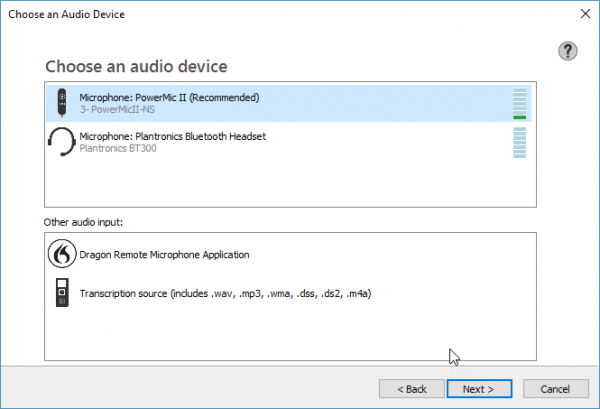 Note that Dragon Group 14 may display the PowerMic III as “PowerMic II” when adding it as a dictation source. 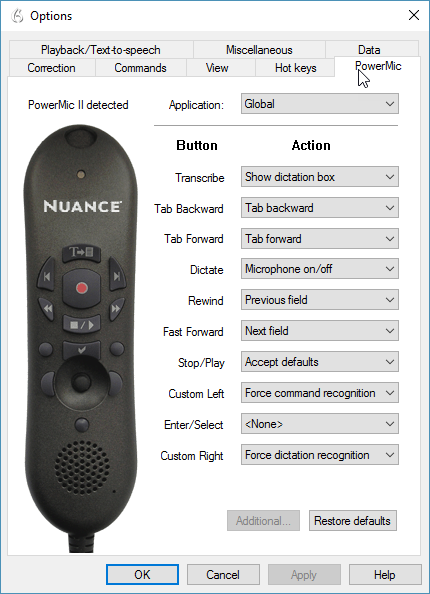 5) The PowerMic tab, under Tools > Options > PowerMic, will correctly display either the PowerMic II or PowerMic III picture with its programmable buttons. Need Help With the PowerMic? 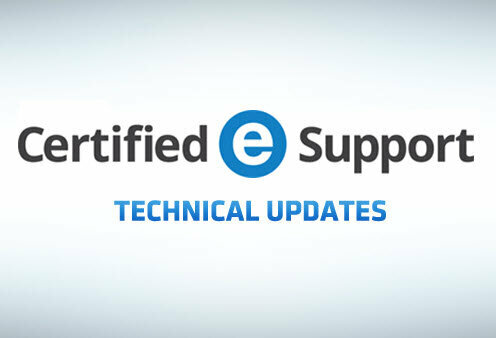 If you’re trying to get started with the PowerMic II or III, whether you need technical support or just want someone to help you use it, we’re here to assist. Click the button below to get started.